“Yesterdays” was written for the 1933 Broadway musical Roberta , where it was introduced by Irene Dunne. 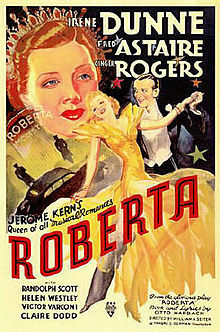 Roberta was made into a film in 1935. The Kern-Harbach score for Roberta also included “Smoke Gets In Your Eyes” and “Let’s Begin,” which Tony Bennett recorded in 1957 for his third album, The Beat of My Heart. “Yesterdays” was recorded on February 26, 1964; it was released in 1966 on the album A Time For Love. The song was arranged by Ralph Sharon.